Apple Inc. just released the iOS 12.1 today, and now it is available for the public use. Anyone with a compatible device must have already received the software update notification. If any case, you didn’t receive the notification, you can update the iOS from the Settings > General > Software Update. 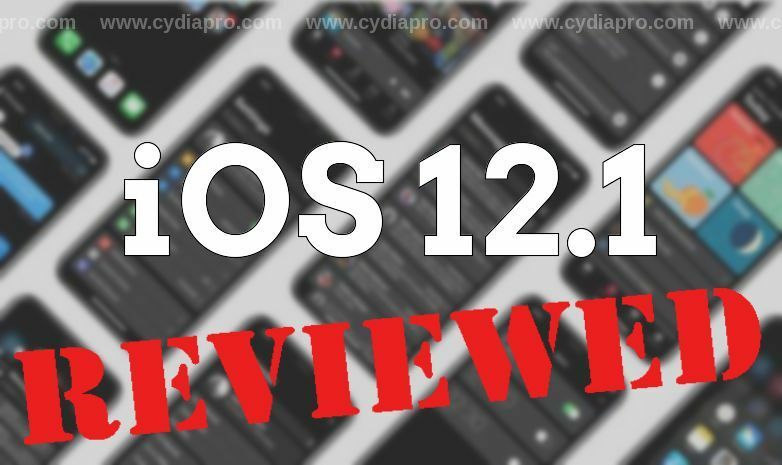 As you already know, iOS 12 is the twelfth major version of the iOS, and iOS 12.0.1 was released recently with a couple of bug fixes to the iOS 12. And this iOS 12.1 is the first major bugfix version to the iOS 12. The Apple Inc. has released this version of iOS with a number of initializing features and bug fixes to the iOS 12. This is the most awaited features, and this feature is the reason why people were so curious about the iOS 12.1 release date. Although Apple promised to give Group FaceTime with the iOS 12 they couldn’t do that, and however, they’ve managed to add it to the iOS 12.1. The Group FaceTime is a fun and flexible feature which allows you to chat with more people at once. You can add between 2 and 32 people to a video chat under this feature. It is simple to add another person to a FaceTime video call. In this feature, you can also use the same camera effects built into Messages and also add stickers and filters. Not only that, but you can also add your favorite Animoji and Momoji on your video chat. The iOS 12.1 has been added with more than 70 new emojis. The characters with gray hair, red hair, curly hair, bald emoji, more emotive smiley faces, food, sports, and animals emojis, etc. This new emojis are available for iPhones, iPads, iPod touches, as well as the Apple Watch and Mac. Emojis are used to express the feelings of the people when they are texting messages. Global users can express their feelings more with the new mooncake, red gift, envelope, and Nazar amulet. New emojis of lacrosse and softball are for the sports fans, the emojis of luggage, hiking and compass are for the outdoor adventurers, and there are many more new features you can enjoy your chatting experience. The Depth Control feature in the iOS 12.1 camera allows you to segment the advanced depth in Portrait mode which permits the sharper portraits with professional level bokeh. You can adjust the depth of field in real time preview and post-capture. This allows you more control for you to create portraits with background blurs. There is also the Plus Portrait mode with Depth Control which works on the front facing TrueDepth camera, and it includes Memoji and faster face tracking for the ARKit third-party apps. The latest iOS 12.1 gives you the Dual SIM ability for the iPhone XS, iPhone XS Max, and iPhone XR. That means you can use two SIM cards from two cellular companies simultaneously on your Device. The primary account is connected to an eSIM and you can add a second account with a nano-SIM.